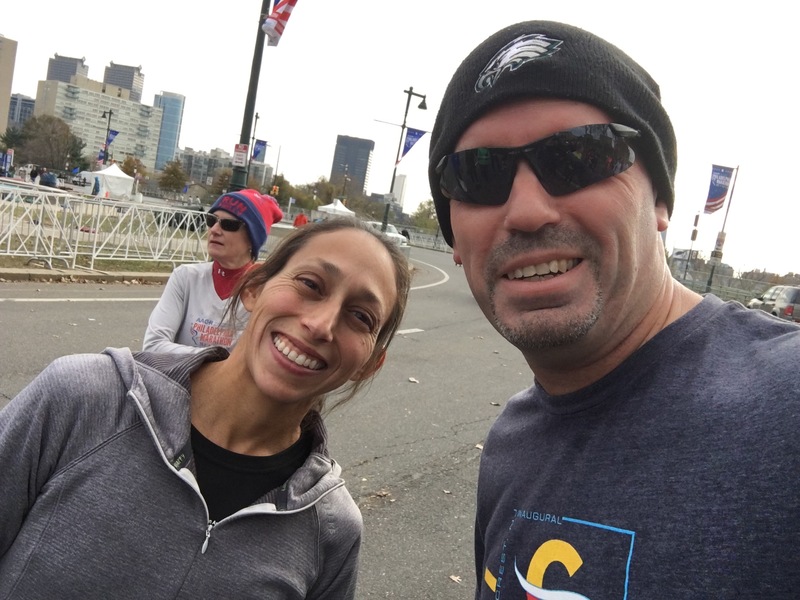 Well, I completed this year’s Philadelphia Marathon. That’s about all I accomplished. I know I should just be happy I finished considering I was pretty much incapacitated by a herniated disc in September that’s still not fully resolved. But I still wanted to beat last year’s time of 4:51:22…and that didn’t happen. I couldn’t even get it done in under 5 hours. I wound up finishing this year’s race at 5:01:29. So, on one hand, I’m disappointed. On the other, I guess it’s an achievement that I was able to come back from that kind of injury to complete a marathon in about two months. And now I can say I’m a three-time marathoner, so there’s that. 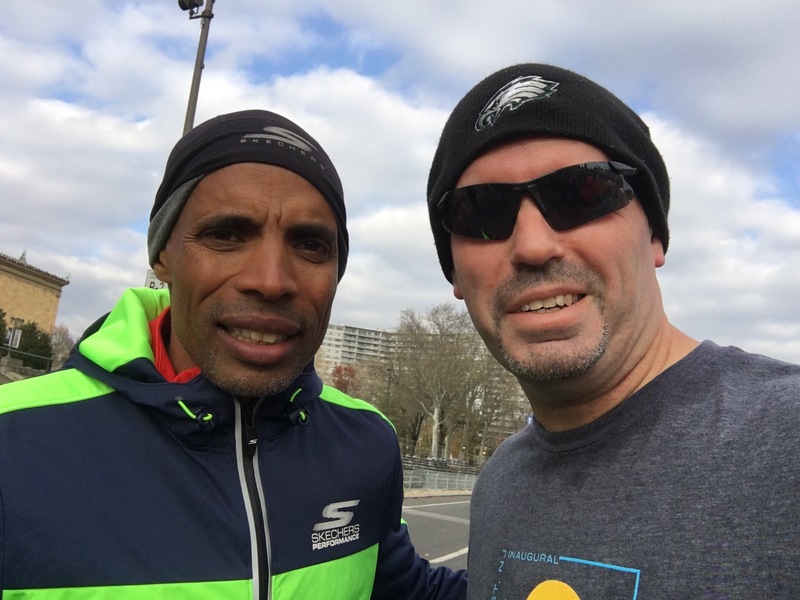 On the plus side, I had the chance to do a “shake-out” run with run the day before the marathon with 2018 Boston Marathon champion Des Linden and Meb Keflezighi, 2004 Olympic silver medalist and winner of the 2009 New York City and 2014 Boston marathons. That was very cool! Click to read the full marathon recap. 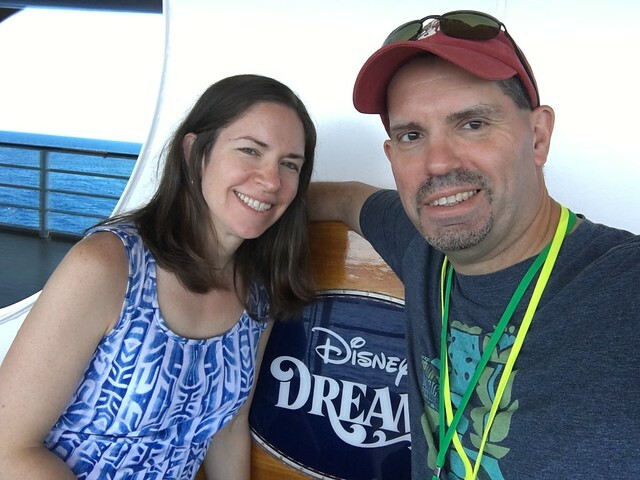 Just two weeks before the Philadelphia Marathon, the family flew down to Florida, spent a night in Cocoa Beach and boarded the Disney Dream in nearby Port Canaveral for a 5-day, 4-night cruise to Nassau and Disney’s own Castaway Cay in the Bahamas. I had been nervously tracking the weather leading up to the trip, but – except for a bit of rain after we arrived in Cocoa Beach – it wound up being a pretty beautiful few days (albeit hot and sticky…personally, not a fan of that). Click here or below to view a Flickr photo album documenting the trip. A couple of shows I did PR and marketing for while at George Street Playhouse have been in the news recently. First, American Son by Christopher Demos-Brown is currently on Broadway for a limited time starring Kerry Washington. The Broadway engagement was actually in the works before the play was staged at George Street in early 2017 so this isn’t considered a transfer (the play had premiered in Florida before the GSP production anyway). Actually, the Broadway deal made it tougher to promote the play at GSP because Demos-Brown was prohibited by his contract to do any press about the show, which was a shame because he told us this after recording a phone interview with him that we intended to use for a podcast. Instead, we could just use limited quotes for background materials. Here’s the trailer from the GSP production, starring Suzzanne Douglas and John Bolger. Also, my favorite musical produced at GSP while I was there was Ernest Shackleton Loves Me, from the creative team of Tony Award-winning Joe DiPietro (book), and Val Vigoda (lyrics and star) and Brendan Milburn (music) from the pop-musical theatre trio GrooveLily (Striking 12, Sleeping Beauty Wakes). A few months after its GSP run, Shackleton was staged at ArtsEmerson in Boston before an off-Broadway run at NYC’s Tony Kiser Theatre that earned the show the 2017 Best New Musical honor at the Off-Broadway Alliance Awards. Well, for those of you who get Channel 13/THIRTEEN/WNET in the NYC metro area, you can watch a performance of Ernest Shackleton Loves Me recorded for BroadwayHD at 9 p.m. ET on Monday, November 26. I have a digital copy already, but still going to set my DVR. I love this show so much…IT FEATURES LIVE LOOPING AS PART OF THE PRODUCTION!!! Also, stars Wade McCollum and Val Vigoda are among the nicest artists I ever had the chance to work with. Actually, Val is the only artist I ever had a personal conversation with, as I had to tell her how I saw her nine years before Shack’s 2015 GSP run in a New York Musical Theatre Festival tribute to the “Musicology of Ben Folds” and became a fan of GrooveLily through that and Robert Drake’s annual playing of GrooveLily’s Striking 12 on WXPN at noon every Christmas Eve. She was super nice. Also, she’s a complete badass…she was accepted to Princeton University at the age of 14. She withdrew after a year to complete her classical violin studies, but returned to graduate with a degree in sociology in 1987. She’s also a former Army lieutenant. Val is currently presenting her PEAK Aliveness musical keynote, which she describes as a TED Talk with musical performance. So, yeah…Val is pretty awesome. Anyway, here’s a BroadwayHD trailer for Ernest Shackleton Loves Me. The Friday before leaving for the cruise, I took in Christine and the Queens’ WXPN Free At Noon show at World Cafe Live in Philadelphia. What a show! It was very cool to see a show with so much energy and dancing set to intelligent, socially conscious, well-crafted pop music. Here is a taste of that show. My favorite band of the past couple of years, Lo Moon, recently released the first song from the batch being readied for their sophomore album. I absolutely love the vision of this band and can’t wait to hear more from them for years to come. Well, I’ll sign off on this issue of the newsletter with a Christmas song I originally wrote in 2011. I settled on this version back in 2013 and put this slideshow video together to accompany it. Kind of want to redo the whole thing…maybe next year.